Explore the region’s natural splendor on these three islands. The Bay of Fundy is known for having the world’s highest tides, rarest whales, and most gorgeous landscapes. Okay, so we exaggerated a bit on that last one—but our landscapes are pretty stunning. 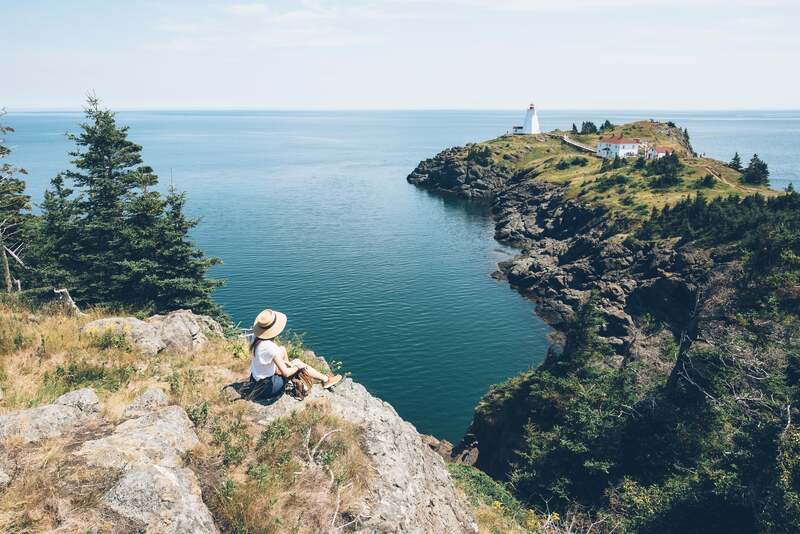 And what’s less well known about the bay is that it’s home to a magnificent trio of islands known as the “Fundy Sisters.” Each island—Campobello, Deer, and Grand Manan—has its own particular flavor and appeal, and they’re a can’t-miss attraction for any traveler. 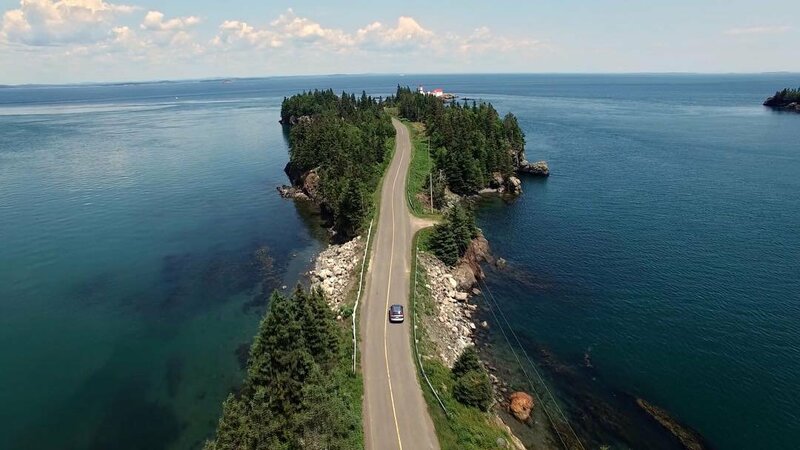 Campobello Island, an eight-hour drive from Boston and just 2½ hours from Bar Harbor by car, is connected to the mainland by the Roosevelt Campobello International Bridge from Lubec, Maine. In summer there is also a ferry. Campobello means “beautiful countryside” in Italian and Spanish, and this island certainly lives up to its name. Long before Europeans arrived, the native Passamaquoddy people used the island for hunting and fishing. The French were the first to settle Campobello, and by the late 19th century, the island had become a popular summer retreat for the wealthy elite, including Sara Delano and James Roosevelt. Their only son, Franklin, grew up spending his summers here, and it was on the island in 1921 that the 32nd president of the United States first fell ill with what specialists later believed to be polio—a diagnosis that’s now in dispute. Today, FDR’s home is part of Roosevelt Campobello International Park, which is operated by the Canadian and US governments. You can take guided tours of the 34-room clapboard “cottage” where FDR and his wife Eleanor summered for many years, several neighboring houses, and the lush, colorful gardens, and have tea and cookies served by docents who will tell you about the First Lady at Tea With Eleanor. The 2,800-acre park also includes nine walking trails and three carriage roads that wind through forests, marshes, bogs, secluded coves, beaches, cliffs, and headlands, with four observation decks offering panoramic views. But Roosevelt Park isn’t the only thing worth seeing on Campobello Island. There are several cozy inns and two cottage colonies you can call home as you explore. Herring Cove Provincial Park features a nine-hole golf course, a one-mile beach, woodland hiking trails, and camping and picnic areas; if you get lucky you might spot an osprey or bald eagle in the treetops. Kayaking, boat tours, and whale watching are also popular pastimes here, and don’t miss the island’s two iconic lighthouses. The Mulholland Point Lighthouse is in the FDR park and is not open to visitors, but you can usually get a tour of East Quoddy Light, if you’re willing to get your feet wet — the only way to it is to walk across the ocean floor at low tide. 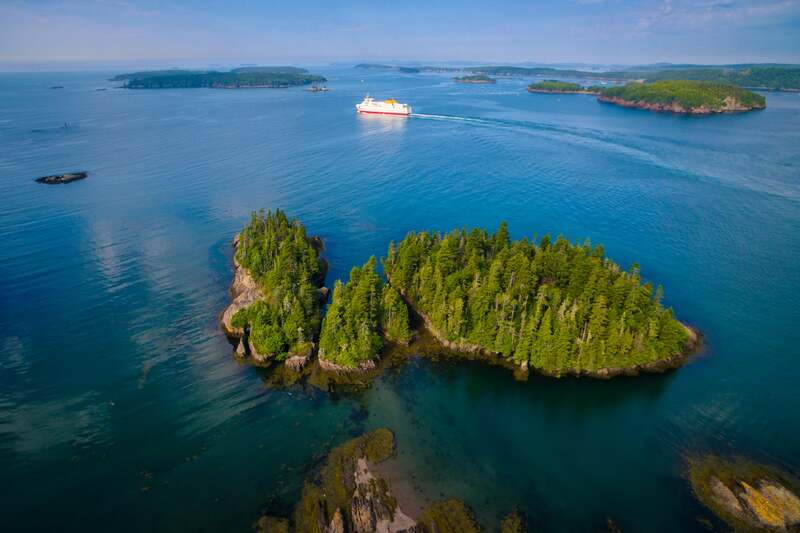 Just a 25-minute ferry ride from Campobello Island is Deer Island, the smallest of the Fundy Isles and exactly halfway between the Equator and the North Pole. At Deer Island Point Park, you can see “Old Sow,” the largest tidal whirlpool in the Western Hemisphere. It forms when the rising tide passes Indian Island and takes a sharp right turn around the southern tip of Deer Island, forcing the waters through a narrow strait and along the peaks and valleys of the ocean floor. Old Sow lasts about two hours, and takes the form of small gyres, troughs, spouts, holes, and, on rare occasions, a single large funnel. The island is a nature lover’s delight, with great beachcombing, bird watching, fishing, hikes, sea kayaking, and the 73-acre Clark Gregory Nature Preserve. It really is the perfect place to get away from it all. In addition to secluded beaches, breathtaking views, and quaint fishing villages, Grand Manan, the largest of the Fundy Sisters, offers world-class wildlife watching, with puffins and other seabirds, noteworthy land bird species such as razorbills and red-necked phalaropes, migrating whales, moose, deer, porpoises, and seals. It’s no surprise that for generations, the island has attracted naturalists and artists, including John James Audubon, Winslow Homer, and Willa Cather. That means you get the best of both worlds. 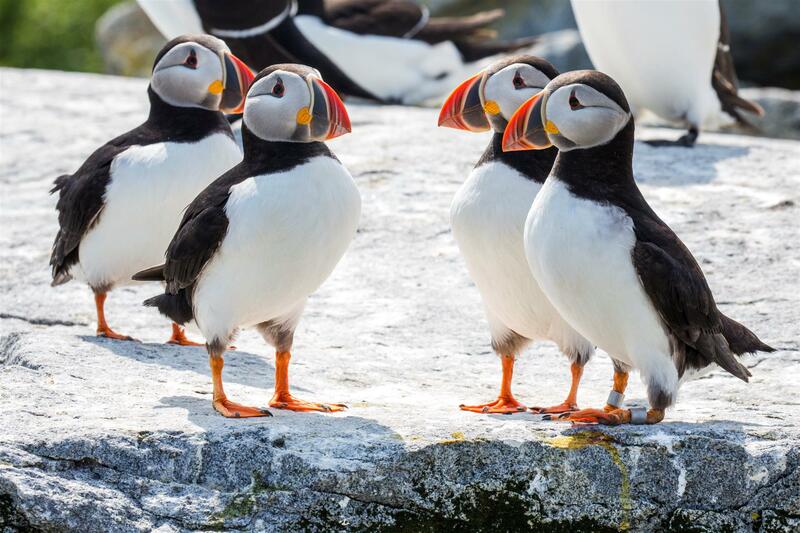 Commune with nature at the 620-acre Grand Manan Migratory Bird Sanctuary and The Anchorage Provincial Park on the island’s south side. In the north, Seven Days Work Cliff Nature Preserve’s 240-foot sea cliff reveals geological layers that include quartz, jasper, agate, and volcanic zeolites on any of the 18 well-marked trails that cover more than 43 miles along the water. Then fit in some culture with a visit to the Grand Manan Art Gallery, which features the works of local artists and exhibits in summer, and the Grand Manan Museum, where you can learn about the island’s history and culture, nearby shipwrecks, and the fisheries that have so long been a part of life here. Since the only way to get to the island is on the 90-minute ferry ride from Blacks Harbour, right near the Maine border, you can see several of the lighthouses that were once essential to helping ships navigate the shoals, tides, and fog of the Bay of Fundy. This area of New Brunswick has one of the largest concentrations of lighthouses in the world, and you’ll catch glimpses of the 1878 Pea Point Lighthouse, now part of the Nature Trust of New Brunswick, the Southwest Wolf Island Light, built in 1871, and to the west, Campobello Island’s East Quoddy. On the island itself are three more lighthouses, including the 1860 Swallow Tail, where you can picnic and take a tour, and four that can be seen in the distance. It doesn’t get more picturesque than that.